Quite how electronic music entered a sudden renaissance period in the past 10 years is something that’s ripe for commentary and discussion. 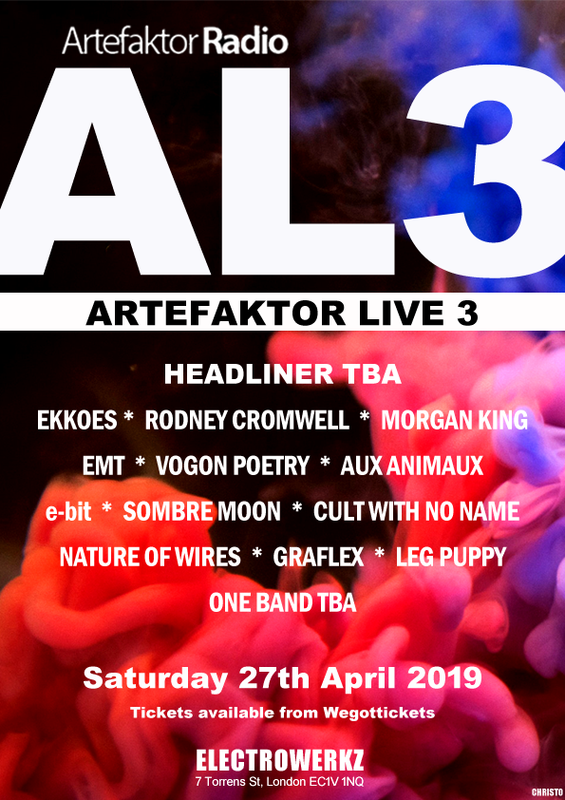 Certainly, there’s been an active contemporary electronic music scene in recent years that appears to show no signs of slowing down. 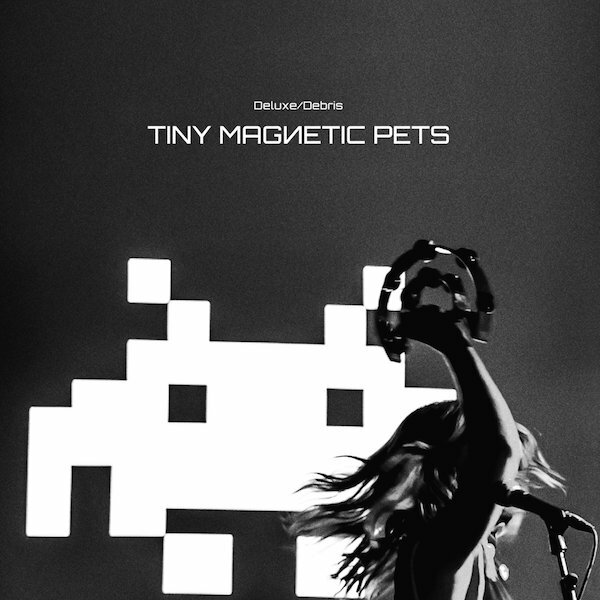 One of the bands to emerge during this fervent period has been the Dublin-based trio of Tiny Magnetic Pets. Consisting of Paula Gilmer, Seán Quinn and Eugene Somers, the outfit have established themselves through a series of EP releases and their 2009 debut album Return Of The Tiny Magnetic Pets. The band cite the likes of Low-era Bowie, Brian Eno, Neu!, Boards Of Canada, Kraftwerk and OMD as influences. As inspiration goes, that’s a solid and eclectic list to draw from and has now led the band to release their latest long-player in the form of Deluxe/Debris on the Happy Robots label (the outlet that also gave us Pattern Language). Deluxe/Debris delivers a collection of serviceable electropop numbers through a definite desire to embrace a warm, analogue sound and Gilmer’s whispery, wistful vocals. ‘Lost My Guiding Light’, like much of the material on the album, leans heavily in the pop direction. The combination of shimmering guitars and electronics slots in effortlessly atop a slick, smooth production. The album also boasts collaborative efforts with former Kraftwerk member Wolfgang Flür, including the dynamic ‘Radio On’. Here, thumping electronic rhythms and sweeping melodies allow Gilmer to really stretch her vocal talents. There’s a robust, crunchy foundation to this composition that brings to mind the ‘lost’ electropop outfit Mirrors and is one of the album’s finest moments. Deluxe/Debris also serves up a series of intriguing (mostly) instrumental numbers that appear to serve as breakpoints. This is typified by the atmospheric warmth of ‘Cloud Sequence’. Then there’s the plaintive piano melodies and Mellotron moods of ‘Cold War Neon’. Here, the composition presents a moment of reflection, complete with an oddly evocative French dialogue that drifts in and out of the piece. The subtle, slow-burning appeal of ‘Here Comes The Noise I (Pink)’ segues into the more muscular ‘Here Comes The Noise II (White)’, which has a percussive warmth that suggests elements of OMD. There’s a particular warmth and robustness to album closer ’Never Alone’ (the second of the Flür collaboration tracks) which rounds things off with style. More recently, Tiny Magnetic Pets have been selected as support for OMD on the pioneering synthpop outfit’s forthcoming Punishment Of Luxury tour. It’s an element of approval that suggests the 3-piece are making the right noises, as well as presenting an opportunity for the band to reach a broader audience. As an album, Deluxe/Debris presents several flavours that gives a very diverse ensemble. They’ve got the chops to push the envelope, but there are times on this album where, arguably, the band appear happier playing from a safe position. When they introduce their more experimental side, or opt for a more dynamic approach, Tiny Magnetic Pets shine brightest. Nonetheless, this album showcases a band that’s still unfurling their feathers and suggests that they’re on a journey that’s going to deliver some memorable electropop in the future. Deluxe/Debris is out now on Happy Robots Records. 23rd October: Vicar Street, Dublin, Ireland, 24th October: Mandela Hall, Belfast, 29th October: Empire Theatre Liverpool, 30th October: Colston Hall Bristol, 1st November: Cliffs Pavilion, Southend On Sea, 2nd November: Regent Theatre, Ipswich, 3rd November: Cambridge Corn Exchange, Cambridge, 5th November: De Montfort Hall, Leicester, 6th November: Royal Concert Hall, Nottingham, 7th November: Sheffield City Hall, Sheffield, 9th November: The Hexagon, Reading, 10th November: O2 Guildhall, Southampton, 11th November, G Live, Guildford, 13th November, Roundhouse London, 15th November: De La Warr Pavilion, Bexhill-On-Sea, 17th November: Manchester Academy, Manchester, 18th November: York Barbican, York, 19th November: Royal Concert Hall, Glasgow, 21st November: Symphony Hall, Birmingham, 22nd November, The Sage, Gateshead.